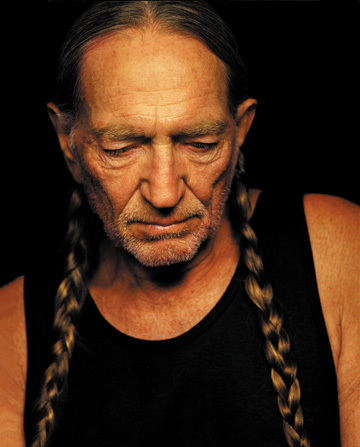 The much beloved singer/songwriter Willie Nelson credits his use of marijuana with saving his life. He told Country Music Television's Inside Fame program, "I used to smoke three, four packs of cigarettes a day. I used to drink as much whiskey and beer as anybody in the world. I would have been dead if it hadn't been for pot, because when I started smoking pot I quit smoking cigarettes and drinking." Adding that he doesn't encourage drug use by young people, Nelson says that marijuana is the best vice in dealing with stress. "The highest killer on the planet is stress, and so many people medicate themselves in one way or another," he said. "But the best medicine for stress, if you have to take something, is pot." Nelson, who was chosen to sing "God Bless America" at the star-studded post-9/11 concert, took his "Warped Tour" out in a biodeisel bus running on his own brand of BioWillie fuel, touring with CSNY, Pearl Jam, Bonnie Raitt, Bon Jovi, and Dave Matthews in 50 buses and 18 trucks. The Farm Aid co-founder's bus was stopped by police in 2006 who found 1 1/2 lbs of pot and 2/10 of a pound of mushrooms. Since all five of the bus's occupants claimed ownership of the "drugs," all were charged with misdemeanors and sent on their way. Willie's tour legendary tour bus, The Honeysuckle Rose, made an appearance at the end of the Dukes of Hazzard movie, when the local politicians exited the bus along with a cloud of smoke. Nelson admitted in a Larry King interview in 2010 that he'd smoked pot that day, and recommended the use of vaporizers for lung health. Like Toby Keith, Norah Jones says she'll never smoke weed with Willie again.